See a description of a new WSP in Canada! 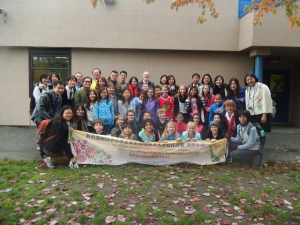 A group of educators from Taiwan visit a WSP at Westwood school. The IERG has for a couple of years been involved with the Taiwanese project Program of Futures Imagination and Creativity in Education, which is funded by the Taiwanese Ministry of Education. The program is headed by Dr. I-heng Chen, Director of the Asia Pacific Human Resources Management (HRM) Research Center. Our energetic and impressive visitors spent the first 2 days of their stay, from Oct. 14 to 17th, in workshops learning about Imaginative Education in theory and practice and visiting schools where imaginative educators demonstrated IE in action. 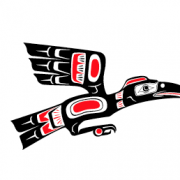 They also visited Westwood school in Coquitlam, B.C. where they heard about the school’s WSP on the Coquitlam river that flows near to the school. You can read something about this project on our Case Study page. 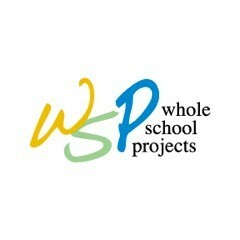 Dr. Pamela Hagen, with help from her Division 2 class, described the principles of WSPs, and showed the influence of the project on the school. We had the special pleasure of seeing a video of the launch of salmon fry and then walking, or, in the students’ case, running, down to the river where we saw a number of mighty salmon fighting their way back up the river to spawn. 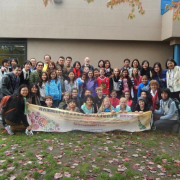 Dr. Amber Yun-Ping Lee wrote, in response to the picture below, “It showed how happy and grateful we were during our stay in Vancouver last week.” The picture shows, standing at the rear, the Taiwanese visitors and in the front a small group of the children of Division 2 of Westwood school. Their teacher and our host for the visit was Dr. Pamela Hagen, crouched near the front right of the picture. Our grateful thanks to her!